New Construction Roofing, Lakeland, FL | Integrity Homes & Construction Inc. When you let us handle the new construction roofing portion of your project in Lakeland, FL, we will only use quality materials and ensure that your new roof is installed with precision. New Construction Roofing in Lakeland – Whether you’re building an entirely new home from the ground up or you’re simply expanding your home with a new addition, you need a dependable roofing contractor on your side who will deliver great results. 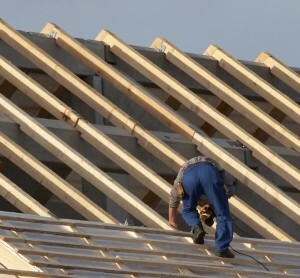 At Integrity Homes & Construction Inc., we realize that the new construction roofing process is a critical part of your construction project and will put the new roof on your home safely, professionally, and on time. We also realize that your new home is only as good as the components that make up its overall structure, including the roof. When you let us handle the new construction roofing portion of your project, we will only use quality materials and ensure that your new roof is installed with precision. One of the main things that sets our new construction roofing services apart is the fact that we are committed to consistent client communication. Throughout the duration of your roofing project, we will provide you with regular updates and answer any questions you might have about how your roof is coming along. 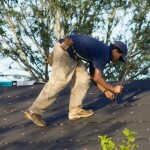 We do this because we want to make sure you feel confident about where your roofing project is headed. We always stand behind our work and will do everything we can to exceed your expectations as we put a new roof on the home that you’re building in Lakeland, Florida. To receive an estimate or to find out more about why we’re the ones to meet your new construction roofing needs, contact us at Integrity Homes & Construction Inc. today. Integrity Homes & Construction Inc. offers professional new construction roofing to clients in Lakeland, Davenport, Groveland, Auburndale, Bartow, Sebring, Winter Haven, Plant City and all of Polk County, Florida!